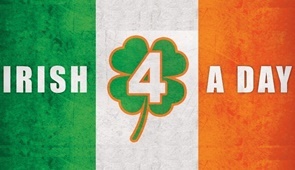 St. Patricks Day Is Just around the Corner! Where Will You Celebrate? St Patrick’s day is a big deal in San Diego and it promises to be one of the most pleasing days of the year. Like every year, the St. Patrick's Day Parade and Festival will take place on March 17, 2018. Over 40.000 people in this great community come together and participate in this celebration of this Irish culture and heritage. The luck of the Irish will be shared this year as good fortune smiles upon the Gaslamp Quarter at the 24th annual shamROCK, which will bring Ireland all the way across the pond to San Diego! The event will take place on March 17, from 4 pm until midnight. St. Patrick’s Day is the perfect day to celebrate your Irish side by indulging in Irish beer and whiskey. Some of us prefer to stay home and enjoy a home-cooked meal of corned beef and cabbage. But, for the rest of us, there is no shortage of authentic Irish pubs here in San Diego where we can be sure to get a good old-fashioned Irish beer and a taste of authentic Irish fare. Located in the Gaslamp District, this Irish Pub is praised for its authenticity. It serves up some traditional Irish fare and has a nice lineup of good beer. The atmosphere is lively, fun and friendly. The staff is always accommodating and friendly and the live music will make you feel like you are in Ireland. If you are looking for a fun Irish atmosphere with great food, this is the place for you! They even offer Irish dance lessons to really get you in the spirit. This Irish pub is located Downtown and is known for good Irish beers on taps such as Guinness and Smithwicks. The Guinness is always served up with a shamrock drawn in the head to give it that extra Irish flare. In addition to the great beers on tap, this Irish Pub also serves up some great food, such as The Stout Burger, fries with malt vinegar and jumbo, zesty wings. For those of you who want to start your St. Patrick’s Day celebration early, head on in and order the Irish Breakfast — you won’t be disappointed! This place does not mess around with its menu. The lamb stew is a known crowd pleaser, especially on a cold night and so is their traditional Irish Boxty. The staff is super friendly and accommodating and is ready to serve you up a mouthwatering pint of Irish beer such as Kilkenny Irish Crème Ale. The pub is clean and the atmosphere makes you feel like you are in Dublin! This is another winner all the way around. This Irish pub is located on Adams Avenue in Normal Heights. According to customers, this pub has the magic to take its guests back to the old country. While the atmosphere is a bit on the dim and divey side, some people prefer this charming style in an Irish pub. This is more of your neighborhood hole-in-the-wall bar, but it still makes for a very good Irish time. The live music makes the atmosphere more fun and the darts make you feel like you are really in a bar. The location is weird, it is in a shopping center in Clairemont. No food is served. This Irish pub, located in Ocean Beach, has a welcoming feeling and a friendly staff. 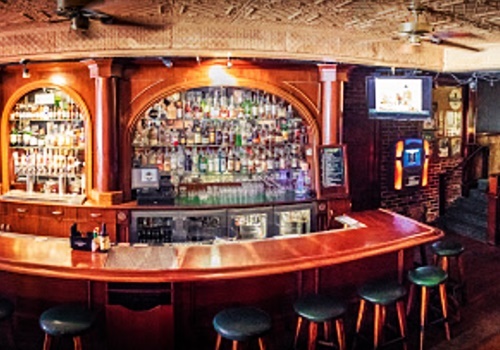 This pub is known by San Diegans as a spontaneous Irish sports bar with gourmet pub fare & casual live music. The prices are right, the Irish food is delicious and the live music always makes for a great time. Aall In Limo & Party Bus will help make this St. Patrick’s Day one you will never forget. Let our friendly and experienced chauffeurs take you to all the popular pubs around San Diego. This St. Patrick’s Day, don’t just sit at home wearing your favorite green shirt, get out and experience a night with the Irish! Irish 4 A Day: St. Patrick's Day Party Hop! Happy to Be Your Designated Driver on St. Patrick's Day! Finding a designated driver for this holiday can be a real struggle. We all know that feeling when one of our friends needs to be the designated driver for a night out. He cannot have as much fun as the rest of his friends and as a designated driver, he will also have to deal with traffic and finding a parking spot. Here is where our premiere limo services come in handy! Leave all the fuss of driving to and from an event or party behind on this holiday and book a limo from us. If you have not booked your limo yet, contact us today at 858-336-1894.